Brainbox My First Maths by green board game. Can you retain the information to answer the question? Pull a card out study the information in your 10 seconds and answer the question. Will you collect the most cards? Brainbox My First Maths helps develop educational information around the subject category in this case Maths. 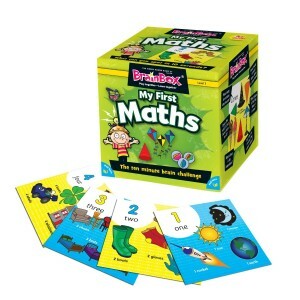 Brainbox My First Maths is suitable for ages 5+ and comes with Free Delivery.